Recently I’ve been thinking a lot about how new technology will affect my life as an ED doctor. It’s 2018, and the un-ignorable hype surrounding #MedTech is reaching fever pitch. In my opinion, the big players are machine learning, telemedicine, and virtual reality (VR). Their impact promises to be unprecedented across the spectrum of medical environments, with patient outcomes and reported patient experience set to be the key beneficieries. Of these three technologies, the one that feels closest to becoming a part of my daily working life (at a midsized District General ED) is VR. There will need to be some pretty seismic infrastructure improvements before the other two hit the mainstream in the UK. It is hard to believe anybody reading this won’t have heard of VR, but for those that haven’t: it is an artificial 3D environment that the user experiences through visual and auditory stimuli. Visually, the experience is delivered via head-mounted display (HMD/headset), and the audio is delivered via headphones connected to the HMD. Head motion is tracked so that the user seems to move naturally around the virtual space (full 360-degrees). Audio is also simulated in 3D, so the user can locate sound at a real location in the environment. The result is that the user becomes so immersed in the simulation, that rationality is overridden and a sensation of genuine presence in the virtual world is experienced. There is a hugely noticeable difference between the physical world and the abstract, packaged versions of reality that we routinely experience through multisensory media like movies and videogames. We always know we’re not experiencing something that is immediately ‘real’. When immersed in VR, that difference is far less easy for the rational mind to discern. At the touch of a button, our subconscious might be genuinely fooled into thinking we are swimming with sharks, flying through space, or living in a cartoon world full of teddy bears. Strictly speaking, it’s incorrect to call VR a ‘new’ phenomenon, as the technology has been around for several decades. The reason it’s picked up steam recently is the exponential growth of computing power, and because HMDs are now comfortably affordable for consumers. They are lighter, transportable, and standalone – you can just slot your smartphone in and you’re all set. VR has gone from lab experiment to consumable, and it’s as user-friendly as putting on a pair of ski goggles. Historically, VR has been limited to the entertainment and gaming industries. However, the recent explosion of public interest has prompted experimentation with the latest iterations of the technology across multiple domains, including healthcare. 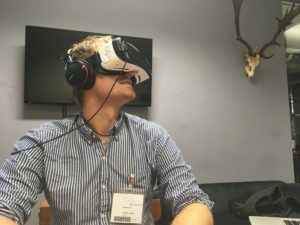 How might VR be utilised in the ED? The answer to this question will evolve in parallel with the technology of course. Clearly though, it already represents a huge opportunity for education and training. Experiential learning via simulation training is now well established as a mainstay of any reputable EM curriculum, but high-fidelity manikins and simulation labs are expensive and labour/equipment intensive. As such, sim opportunities for trainees are all too infrequent. In-situ simulation, the fashionable cousin of high fidelity sim, is an even rarer occurrence as it requires wide-scale hospital buy-in and, of course, a quiet department. VR simulation represents a cheaper, more versatile alternative to traditional sim. When one considers the quality and variety of virtual environments that have been designed in other industries, it seems pretty feasible to design a range of virtual scenarios that would simulate the practical curriculum of the emergency physician in-training. 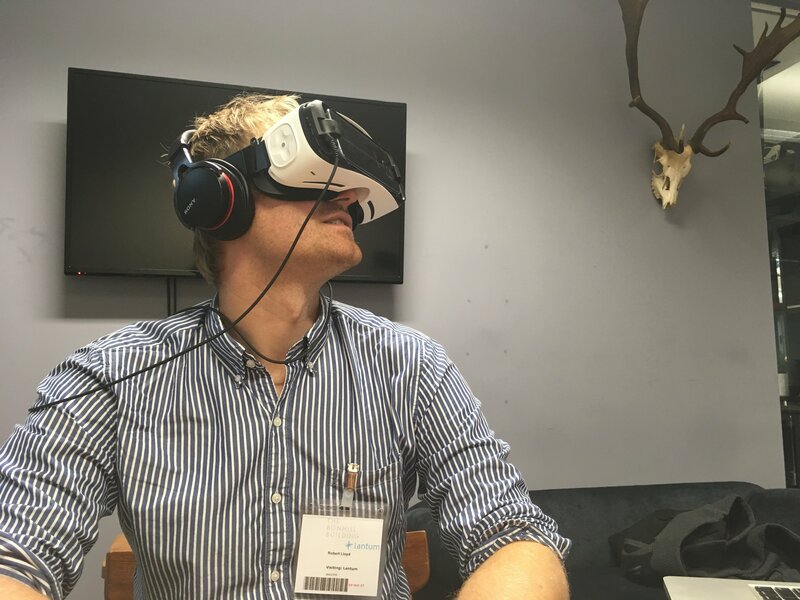 The same thought processes and (more challengingly) practical skills could be tested and honed, and all that would be required is the trainee putting on an HMD and pair of headphones. The breadth of sim scenarios that could be accessed in a VR library would dwarf the offerings of even the most impressive sim lab, as the limit of what could be trained would be reflected by the imagination of the VR software developers as opposed to the practical constraints of the lab. It’s conceivable that trainees could run through sims in the comfort of their own home, and then debrief with their supervisor via Google Hangout at a convenient time afterwards. To many, the unsung hero of sim training is the ‘stress inoculation’ element. Whilst crucial to test scenario-specific knowledge-base and decision-making, it is the rehearsal of having to put on a performance in the presence of heightened emotional and physiological states (‘being under pressure’) that is most useful to the trainee the next time they are in a real resuscitation room managing a real crashing patient. When deliberately increasing stress levels mid-scenario to challenge the trainee, surely the immersive and artefact-free nature of VR will be vastly superior to traditional sim. It’s a digital treasure trove of potential scenario modifications and curve-balls, as opposed to the clunky, frankly un-human manikin and predictable supporting cast found in a sim lab. VR will be simulation training 2.0. Not confident managing major trauma? Download a few appropriate scenarios onto the VR Sim app on your smartphone, and then spend an evening ‘playing’ them as many times as required. VR will gamify quality medical training, and make it available on demand. Perhaps the future will bring us an artificial intelligence algorithm that will be able to supervise a trainee’s performance during the virtual sim, and give constructive feedback, negating the need for human supervision.